Governor Nasir El-Rufai is to perform ground breaking of biggest poultry/hatchery in Sub Saharan Africa worth $150million in Kaduna tomorrow (Friday). 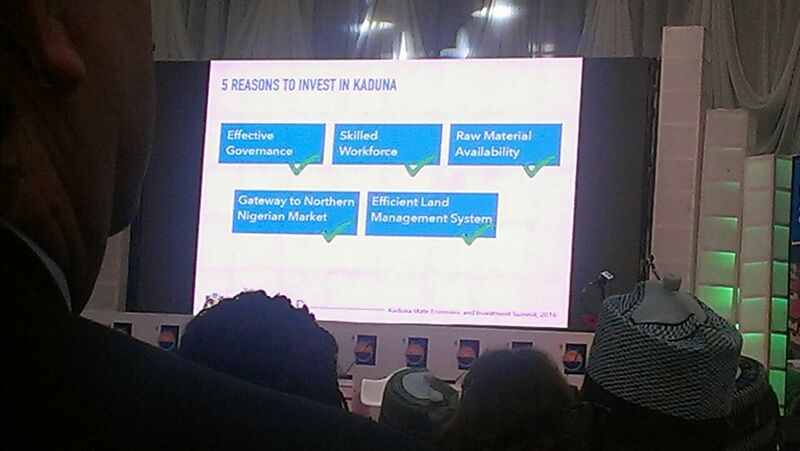 Announcing the breaking ceremony, after the end of 2-day maiden Economic and Investment Summit tagged Kadinvest 2016, El-Rufai said the Olam’s Poultry project will be built in Gwagwada, Chikun Local government area, Kilometre 24 Kaduna-Abuja Express way to complement the free school feeding programme of the state. The governor, who had earlier lamented that the state do find it difficult to get 700 crates of eggs needed per day to feed the school children, was optimistic that the poultry will be helpful when completed. El-Rufai also reiterated the intention of Dangote Group to establish $10million tomato farming and processing company in the state to improve its economy and offer thousands of direct and indirect employment for people resident in the State. “Special ground breaking of biggest poultry/hatchery in Sub Saharan African in Kaduna 150million US dollars by Olam. Tomato farming and processing company 10million US dollars by Dangote,” he dressed. Explaining why investors should embrace business opportunities in the state, he said Kaduna is a gateway to Northern Nigerian market with effective land management, availability of raw material, improved security, population among others. El-Rufai, while reading highlights of the summit position said Kaduna advised to improve competitiveness by developing clusters of production,adding that,federal government planned to partner with state to improve collection of statistics and trains unemployed youths. Developing mining as a step for enhancing industrialization and job creation” El-Rufai announced the summit position.